A vlogger’s voice is their number one asset in achieving internet stardom. Your audience needs to hear you clearly for your personality to shine through, and you won’t get professional-sounding results no matter how good your headphone mic is. That’s why you need a stand-alone vlogging microphone! A dedicated vlogging mic will make your content sound professional and let you connect to your audience more naturally since they’ll hear what you actually sound like. Adding a vlogging mic to your arsenal is the best way of delivering your message to the world with crisp clarity and no background interference. Here are six of the best Vlogging microphones available now. Our selection covers microphones of different types, polar profiles, and price points. Whether you’re a budding vlogger or have a following that yearns to hear your voice in its natural glory, these are the microphones that will bring out the best in it. Excellent balance of cost and quality, two polar patterns. Comes with good shock mount, capable high-pass and pad. Comes with fantastic shock mount, excellent audio quality and clarity. Condenser microphones use a diaphragm to vibrate and produce sound waves. Their sound quality is good and some even support multiple polar patterns. These microphones are often bulky though and are best used in studio settings where they remain fixed in place. 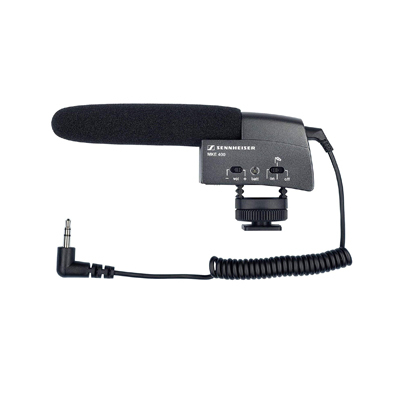 Shotgun mics are compact, elongated microphones that mount onto mirrorless and DSLR cameras. They’re portable, have excellent noise reduction, and don’t record the sounds the camera makes. These microphones have a very narrow polar pattern so they work the best when recording what’s directly in front of them. Lavalier mics are the most portable since they’re small and attach to your clothing via a clip. They’re great when you want to substitute your smartphone’s default shabby microphone but lack the audio quality and versatility of bigger models. Cardioid patterns are named for their heart shape. A mic with this pattern will record what’s in front of it and to the side in a wide area, ignoring what’s in the back. A supercardioid microphone records background noises too, but to a lesser degree. These microphones are ideal for standard vlogs where you sit in front of the camera and talk or are making commentary while standing behind it. Shotgun mics have a narrow polar pattern that extends outwards. Think of them as the audio equivalent of a flashlight – they’ll register what’s ahead with excellent clarity while mostly ignoring their surroundings. Lobar mics take this approach even further. These mics are great for interviewing someone at a busy conference or trade show and recording only their voice without interference. Two-way mics record sound in a figure of eight pattern. They’re useful for hosting one-on-one talks or debates where two people are seated opposite each other. Omnidirectional mics record everything in a 360-degree radius. That doesn’t mean they can’t be tweaked to pick up some types of sound like speech better than others, they’ll just do it in every direction. An omnidirectional mic is your best option when you’re recording a round table discussion, interviewing people on the move, or letting your audience get a feel of the atmosphere of an event you’re attending. The connection type of your microphone determines its audio quality and ease of use. 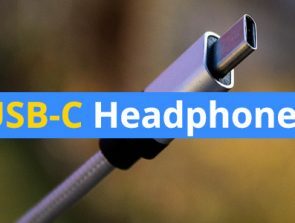 The two main ways to connect it are USB and analog which is further divided into XLR and 3.5mm. USB connection is the most beginner-friendly way to go. USB microphones have built-in audio hardware and can record great-sounding audio with minimal effort. They also receive power through USB and don’t need batteries or phantom power to work. Their quality varies wildly depending on the recording hardware. Analog microphones can be connected to preamps, equalizers, and other external audio hardware. They record a raw signal which you can customize more freely. Analog mics require an interface to bridge the gap between what they record and what a computer can recognize as input. They also need a separate power source. The VideoMic Pro+ is as close to an ideal vlogging microphone as it gets! It attaches easily to any DSLR or mirrorless camera with its fantastic proprietary Rycote Lyremount and delivers outstanding performance whether you’re recording in a studio or outdoors in heavy wind. You’ll have to pay almost $300 for it, but there’s no better microphone when it comes to drastically improving sound quality with minimal effort. This versatile shotgun mic improves on almost every aspect of its acclaimed predecessor, the VideoMic Pro. One area that didn’t need improvement though is its mount. 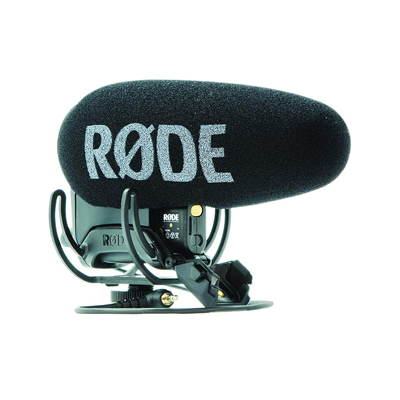 The Rycote Lyre is a shock mount that secures the mic to your camera and offers exceptional stability. Even if you’re chasing after a story and talking as you run, the mount will absorb the impact and keep the recording free from mechanical noises. The Pro+ is designed to deliver maximum clarity regardless of its surrounding conditions. It does a good job of eliminating wind noise on its own, but you also get a deadcat attachment for use in extreme weather. For studio application, there’s the dual high-pass filter that cuts out any noise below 75 or 150Hz. 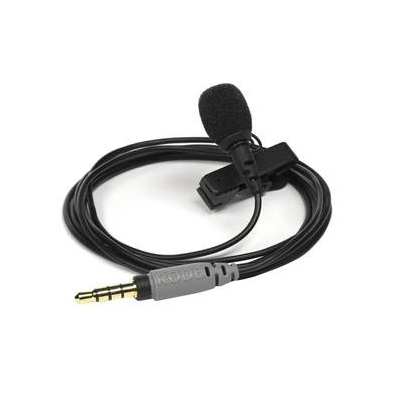 This microphone is great for covering live events as well since it has the option of recording to a safety channel. This lets you record concerts or sporting events onto two tracks, one of which will be quieter by 10dB to eliminate clipping. Conversely, if you’ve got a quiet guest or are trying to capture audio from far away, the Pro+ offers three gain levels for a precise volume boost. People who used the VideoMic Pro complained about its short battery life, prompting Rode to fix this issue on the Pro+. Now the mic has a rechargeable Li-ion battery good for 20 hours of recording. It can also work with 2 AA batteries in a pinch or draw power through USB! This model is a great choice if you’re focused on recording sounds in front of the camera. Due to its narrow polar pattern, the sounds coming from behind the Pro+ will appear muffled. Its on/off switch is also flimsy so you’ll need to press gently or else it will break with use. Versatile vloggers need a mic that can keep up with their vocal acrobatics. Audio-Technica’s AT2035 is the ideal mic for anyone who uses their expressive voice to sing, tell engaging stories, or get ideas across. It produces barely any noise, has an excellent high-pass filter, and can take a beating. The AT2035 should be your choice if you aren’t sure what type of content you’ll be doing down the road and want to invest in a single microphone that can handle any transition in style. 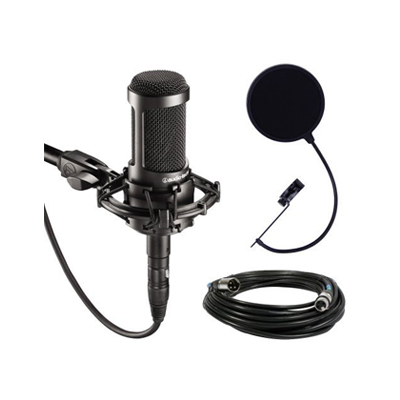 The AT2035 is a condenser mic built to offer the best performance at a reasonable price. It looks identical to most other models in the AT20 series, meaning it has a body made of sturdy plastic which can handle harsh location conditions. It is propped up by a durable shock mount and connects through XLR. There are three switches on the mic’s back. One is for power while the other two turn its high-pass filter and pad on or off. The filter will cut out any sound with a frequency lower than 80Hz, creating an environment free from noises made by computer fans. The pad adds 10dB to the AT2035’s loudness tolerance, putting it at an impressive 158dB. The microphone itself makes little noise, 12dB to be exact. This exceeds studio requirements and guarantees that recordings are crisp and unaffected by slight hums produced by models of inferior quality. This microphone’s sound profile is a bit flat, meaning that it’s suited for speech as well as singing. Lows and mids are captured well while a subtle loudness boost is added to highs to bring their brightness out even more. The microphone is very sensitive and picks up slight changes in tone or pitch well. Since this is an XLR microphone, you’ll need to bridge the gap between it and your computer’s USB with an audio interface. You don’t get an XLR cable with the package either, forcing you to spend more if you don’t already own one. 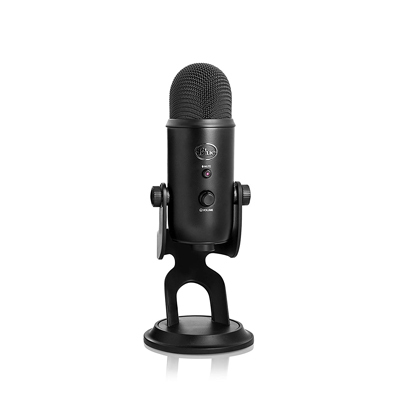 The AT2035 takes the title of best value since it is usable in any situation, but if you only produce content in a controlled environment, the Blue Yeti is an even better choice. It requires minimal fuss to start recording, features multiple polar patterns, and has an eye-catching design. This is the mic to use if you’re alternating between vlogs, streaming sessions, and panel discussions and need a catch-all solution to make all of them sound great. The Blue Yeti is a heavy, gorgeous-looking 50s–style condenser mic. It has a robust metal body and comes with a hefty desk stand. You can also connect it to any mic stand via its threaded base. It comes in multiple fun color patterns to blend in with your existing visual theme and brand identity. The mic connects to your PC or Mac via USB. It is truly plug & play as the driver installation process starts automatically and you’re able to use the Blue Yeti in minutes. Controlling the Yeti is straightforward. There are mute & volume controls on one side as well as polar pattern selection & gain dials on the other. Being able to select different polar patterns is particularly useful. It lets you record yourself with minimal outside interference in one moment when in cardioid mode only to capture the atmosphere of the entire room by changing to omnidirectional in the next. The other two pole patterns are stereo which is meant for session work and two-way or elliptical that’s great for two-sided discussions with a guest. The Yeti’s sound quality is above average and a definite step up from any cheap PC microphone. It works best at recording voices. Recordings are given a natural tone and records in a quality that approaches professional voice-over work. There’s even a headphone jack on the Yeti’s bottom that lets you plug in a headset and listen to your voice as others hear it. This is a big microphone, so much so that you’ll have a hard time finding a suitable shock mount if you need one. This is a well-made microphone with few issues. If one does arise though, be prepared for unresponsive customer service and returns that take ages to get to you. Do you often move around during your vlogs and want to make sure the audio is perfect no matter where you or a guest are facing? In that case, you need a lavalier mic, and Rode’s SmartLav+ is the best of the bunch. This highly portable mic is ideal for dynamic vloggers who attend conferences and have interviews on-the-fly. It requires no software to work, has excellent background noise reduction, and lets you fine-tune recording settings on location with an optional app. The SmartLav+ is a lavalier microphone, which means it is small and comes with a clip you can attach to your shirt so it isn’t in the way. It comes with a long 3.5mm cable that draws power from your phone or computer. No additional software is required – you can unpack the SmartLav+ for the first time and use it straight away. The microphone is compact and lightweight so you won’t even notice it after a while. This microphone’s polar pattern is omnidirectional, meaning that sound is captured equally well in all directions. The sound profile is geared towards singling out voices while minimizing background noise. You’ll get clear audio both from far away speakers and interviewees as a result. It’s light years ahead of a built-in smartphone mic, especially when it comes to ambient noise reduction. People’s voices are recorded cleanly and free from annoying popping sounds. If you’ve got an iOS device, you can tweak the SmartLav+’s recording settings in the Rode Rec app. Basic features like bitrate selection or turning on iOS processing and enhanced bass are free. More advanced features include an equalizer, adjustable playback speeds, a recording timer, and uploading a finished recording onto Dropbox. You’ll need to pay $5.99 to access them though. Newer iPhone models don’t have a headphone jack, so you’ll need a lightning to 3.5mm adapter to be able to use it. Android users are short-changed as well since Rode Rec exists only for iOS. Do you like what the VideoMic Pro+ has to offer but don’t have the budget for it? Give Sennheiser’s MKE 400 a shot instead! This compact shotgun mic can be attached to any camera’s hotshoe and experience almost no background noise thanks to a well-made rubberized shock mount. It has exceptional battery life, a polar pattern that zeroes in on the subjects in front of the camera, and comes at an inviting price. The MKE 400 weighs 2.3 ounces and is 4.3 inches long, making it one of the more compact and easier to handle shotgun mics. Its weight doesn’t increase much when you insert the battery as a single AAA is enough to power it for 300 hours! The standard foam cover you get with it makes the MKE 400 usable in moderately windy weather. You’ll need to purchase a separate deadcat for more serious conditions. Operating the MKE 400 is straightforward since there are only two dials on its left. One is an on/off switch which also lets you cut off wind noises. The other adjusts volume for greater sensitivity. This model uses a supercardioid / lobar polar pattern which is even sharper and more focused than those of standard shotgun mics. 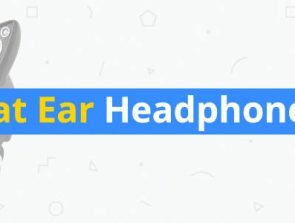 This is useful for noisy situations where you’re trying to focus on a single source of sound while muting everything else. This is a great microphone to get if you control the camera during filming a lot. Many microphones will record the focusing & zooming noises your camera makes. Since its polar profile is so focused, the MKE 400 only captures what’s in front of it. The audio that is recorded is both clear and bright. Whether you’re trying to capture birdsong in a forest teeming with life or record a conversation with someone in a crowd of people, the results are equally impressive. The battery status indicator is confusing. When there’s still enough juice in the battery, a light will briefly flash when the mic is turned on. When the battery is about to die, the light remains on. This is counter-intuitive and the flash is so quick that you’ll likely miss it. There’s no high-pass filter, so you’ll have to keep the MKE400 away from air conditioners and PC fans for them not to become part of the recording. 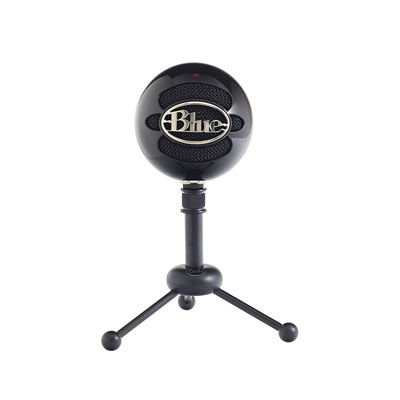 Vloggers who are just starting out and don’t feel like spending hundreds of dollars on a microphone should look no further than the Blue Snowball! Yeti’s smaller cousin is less expensive and equally attractive. 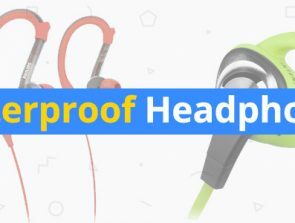 It features fewer polar patterns but retains above average sound recorded in CD quality that’s ideal for vlogs and streams. It’s hard to believe that Blue managed to price such a mic at less than $60! True to its name the Snowball looks like a bright plastic ball set on a small desktop stand. Don’t let the fun design and small price fool you into thinking that it is poorly made though. Both the Snowball’s plastic body and tripod have some heft to them and won’t break or dent easily. The tripod has rubberized legs for extra grip. You can tilt it slightly and even extend its height. The Snowball is portable too since it takes up little space and has the same plug & play principle as the Yeti. You can switch between three polar patterns. The first two are omnidirectional and cardioid and useful for capturing your surroundings or focusing on your voice respectively. 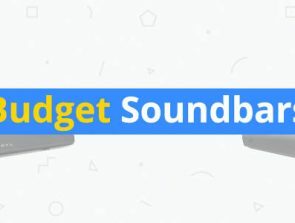 The third setting is similar to cardioid except it has a 10dB pad which will keep your voice from sounding broken if you get excited and start yelling. The Snowball’s overall sound quality is outstanding given its price. You’re getting clean audio with a bitrate that’s more than adequate for YouTube videos for much less than $100! It lacks the gain adjustment knob seen on the Yeti. Still, the signal is clear and free from DSP, so getting the sound you want using audio software like Audacity or Pro Tools won’t be a problem. Both the Snowball and the Yeti use a USB-B type connector. This doesn’t impact its connectivity options, but it does mean that a replacement cable will be harder to find if you lose the original. The Snowball is top-heavy and prone to falling over if the tripod’s legs aren’t aligned properly or you accidentally brush it with your hand.